individual symbols with small glyphs representing their corresponding colors arranged in a pattern from the base of my neck up to just beneath my crown, the arrangement can be loosely described as a ‘Zodiac’, though it is more representative of the Celestial Sphere as a whole than only one of the Three Great Circles. As a student of ancient Mesoamerican studies I was aware of how little we could interpret of Mayan Chronology and Archeoastronomy through the available historiographical tools. What is accessible is a sophisticated system of time reckoning, cyclic in nature, which permeated the fabric of existence. Temple Knowledge was cultivated by an Astronomer-Priest tradition aware of deep celestial motions (including the Galactic Center) and used these interwoven cycles as Omen. While this may sound like the basis for a ‘Mayan Astrology’ any modern interpretive tools assuming an analytical quality or predictive system would be optimistic at best. My intentions with this meditation symbol of Cosmos was less precise than predictions of Queztalcoatl, though had to do with Alignment; discerning orientation within my cosmological environment and connecting my location to a Geo-Cosmic pattern. The Dome of Heaven imprinted upon the Dome of Man; As Above, So Below. Cross-cultural investigation based on cosmological orientation is a long held Human Tradition. The Egyptians were idealized by the Greeks for their knowledge of the Stars and repeated their traditions by reducing cultural myths to astronomical cycles. In the tradition of the New Testament, the Three Magi, or Wise Ones, were astral-theists who used Celestial Cycles based on Persian, Indian and most likely Chinese Astrology to observe a Great Cosmic Event. Though promoted as a strictly ‘Christian’ Event there was no conversion efforts made by the Three Magi, only recognition, they were in foreign lands as Cultural Emissaries of a Tradition that faithfully observed a Cosmically Ordained Event. The Historical Cycles synthesized in Persian and Vedic astrology reflect this tradition. 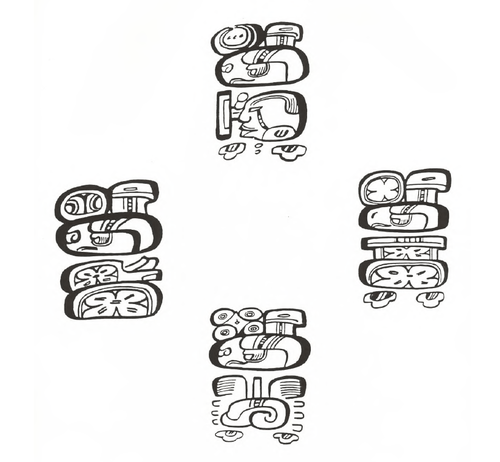 Mayan Cultural Astronomy is believed to have promoted an intricate and complicated system of cosmic interpretation which maintained chronological prophecies studied and manipulated by Cortes and the Conquistadors to undermine the ruling Aztec Empire, which borrowed much of its own traditions from a widely known and almost mythological Maya Legend. Similar to Cortes, Modern Media continues to contribute apocalyptic portrayals of Mayan Chronology. When Cultures observe The Great Cosmic Event over long periods of time and with open minds Temples and Monuments are constructed along lines of astral orientation, as reflected in Egypt, Stonehenge and Washington D.C. These Temples seek to Orient themselves to the Cosmos (literally ‘Beauty’) and are celebrated in varied ritualistic fashions at times that are culturally significant. As contemporary understanding of Ancient Cosmology grows with the boundaries of Modern Cosmology so does an observable desire to re-connect and orient culturally with the Great Cosmic Events that occur in Our Cycles of Time. As December 20 2012 (20/12/2012; Our Numerical interpretation of the end/beginning Cycle in Mayan Chronology) approaches it is inspiring to see representative Cultures observe the Time and Place with Knowledge and Wisdom, knowing that there is no destruction associated with this Cycle, just Renewal. The Glyphs that represent the Alignment for me will travel to the Pyramids at Giza to welcome the new Cycle, along with Pacific West Coast Culture at The Great Convergence 2012. I inherited my connection to the Mayan Symbolism through the DNA of my Mexican Grandfather. Some might question the connection between Pyramids on different continents, aside from visible connection in Iconography, I would counter there is highly suggestive evidence that pre-Columbian transoceanic trade existed between ‘Egyptian’ and ‘Mayan’ Cultures based on enthopharmacology, though it can be assumed that higher knowledge was also exchanged, promoting the cross-fertilization of Cosmological Traditions that should be investigated experientially by all those interested in Cultural Astronomy.